Litten is a Fire type Pokémon introduced in Generation 7. It is known as the Fire Cat Pokémon . 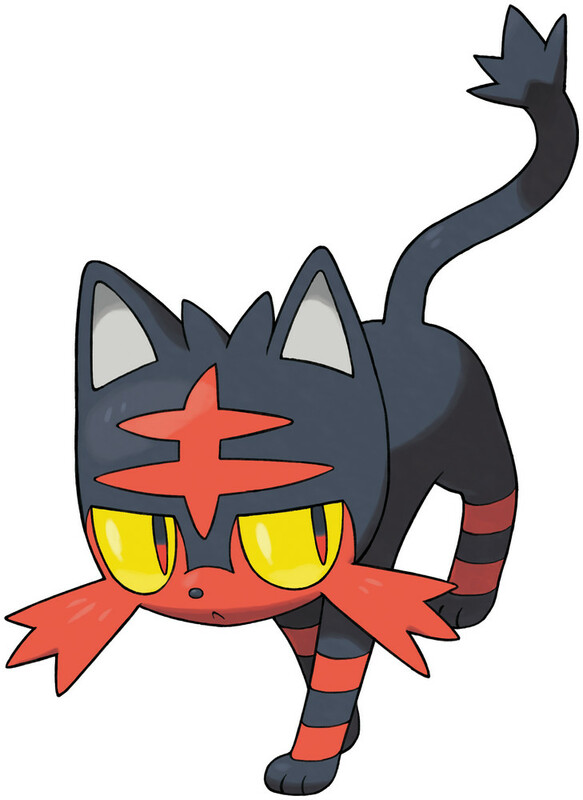 The cool-headed Fire Cat Pokémon, Litten, is the next choice for a first-partner Pokémon. Litten's fur is rich in oils and is immensely flammable. It constantly grooms itself by licking its coat, collecting loose fur into balls. It then ignites these hairballs to create fireball attacks. When the time comes for Litten to molt, it burns off all of its fur in one glorious blaze. Litten starts with the move Ember. The effectiveness of each type on Litten. If you try too hard to get close to it, it won’t open up to you. Even if you do grow close, giving it too much affection is still a no-no. Litten learns the following moves in Pokémon Ultra Sun & Ultra Moon at the levels specified. Litten learns the following moves via breeding in Pokémon Ultra Sun & Ultra Moon. Details and compatible parents can be found on the Litten egg moves page. Litten learns the following moves in Pokémon Sun & Moon at the levels specified. Litten learns the following moves via breeding in Pokémon Sun & Moon. Details and compatible parents can be found on the Litten egg moves page.